Hospitals, consultants and tech vendors explain what’s happening now and where biometrics are headed. Biometrics technologies such as fingerprint scanners, palm vein readers, facial recognition tech, iris scanners and others, have long held promise to tighten up identification of patients and employees. This would help reliably verify that patients are who they say they are, guarantee caregivers are working with the proper medical and demographic information, and ensure only the proper employees have access to the right information. But biometrics technologies have been slow to catch on in healthcare. Sure, many hospitals and clinics have implemented some basic tech, but biometrics is not yet fully in the mainstream of healthcare practices. And it will still take some time and effort on the part of healthcare CISOs and biometrics technology vendors to get the tech swimming in the mainstream. The future portends a new era of biometrics. Advances to the technologies will make them more attractive to healthcare organizations. 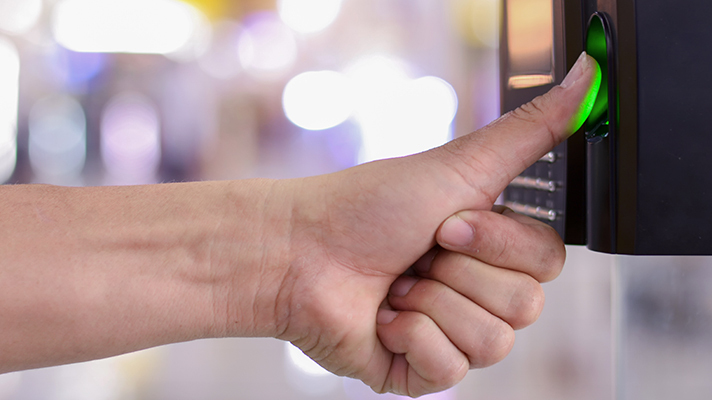 Decreasing costs will make biometrics a more palatable move. Other technologies like artificial intelligence will, in turn, also give biometrics a boost. But mainstreaming biometrics faces a variety of challenges. These include privacy, people, cost and interoperability. There’s a lot of ground to cover in so experts at biometrics technology vendors, consulting firms and healthcare provider organizations shared their views on the road ahead. Let’s begin with a look at what’s happening in the here and now. Northwell Health in New Hyde Park, N.Y., is using iris scanning biometrics technology from RightPatient. It selected iris scanning because the high-resolution photo that is taken also can support facial recognition. It also intends to push the picture to all downstream EHRs where clinicians will have access as another step in assuring the correct identity. And by having a picture for every enrollment, this can also support the revenue cycle teams in the event of fraud or refusal to pay. Keely Aarnes, IT director at Northwell Health, explained how the provider organization is using the biometrics technology in innovative ways that could lead into a new era of biometrics. Northwell Health envisions every patient encounter beginning with taking a picture. The picture will be used to identify and link a patient to his or her record. By starting workflow with taking a patient’s picture, there is an opportunity to expand to urgent care situations such as in the ambulance, in the field or in the emergency room, Aarnes said. Aarnes also sees facial recognition having many opportunities to support the patient experience. "When millions of smartphones use thumbprints and iris recognition, it makes the technology a whole lot more affordable for a lot more applications"
Nontraditional biometric modalities such as behavioral, EKG, finger vein and iris/retina are showing promise, but they face stiff competition from established modalities such as fingerprint, face and voice biometrics, which also are going mobile, said Merritt Maxim, a principal analyst at Forrester Research. Something that matters for biometrics is the need for mandatory tuning. As healthcare organizations strive to provide patients with a frictionless registration and authentication experience, ensuring that the technology performs at scale with an acceptable level of false positives and negatives is essential. Being able to identify patients with 100 percent accuracy is imperative in healthcare, so clinicians can provide the correct diagnosis and treatment based on that individual’s medical history. Biometric technologies get healthcare closer to 100 percent than any other medium or manual process. The tools will need to be scalable, consumer-friendly, touchless and interchangeable. For example, today, health systems typically deploy only one modality to ensure that data capture is consistent and retrievable at all facilities within the system, even if multiple modalities may be desired, Kelly added. If, though, it’s really more a question of when palm vein patterns might be reliably captured with another media, the use-cases will expand significantly, he added. Another example is facial recognition. Currently, facial recognition is great for 1-to-1 matches, but not nearly as accurate when it comes to the 1-to-many matches it must make to correctly identify a patient within a healthcare organization’s patient database, he contended. The issue of cost could be changing in the years to come, too. Biometrics technologies are becoming less expensive, more compact and easier to integrate within a wide range of devices. Clifton said that accuracy is also improving. "We envision a world where an individual’s personal biometric signature will eventually be under their own control, rather than under the control of the organization or software vendor." Broadly speaking, all of the various biometric technologies will continue to advance in their effectiveness, but certain modalities, such as palm vein scanning, facial recognition and voice recognition, will exhibit the greatest promise, either as standalone biometrics or in applications that combine multiple biometrics, said Joe Artime, interim CEO at MedicFP, a fraud prevention IT vendor that uses facial recognition and palm vein scanner biometrics technologies. “Generally speaking, we envision a world where an individual’s personal biometric signature will eventually be under their own control, rather than under the control of the organization or software vendor, and the individual will determine the extent to which this identity data is to be shared, with whom, and for how long,” Artime said. Michael Trader, president of RightPatient, an iris scanning biometrics technology vendor, has seen increased adoption of biometric technology in general across many markets and use-cases. Algorithms and hardware for contact-dependent modalities like fingerprint and palm vein will continue to improve; however, RightPatient’s philosophy has been focused on what is practical for a given use-case and what will best position organizations for the future. These are some areas that healthcare providers should be seriously considered before making any decisions, he added. Moving forward into a new era of biometrics, they should also be looking at what vendors have been recommending over the years to evaluate their expertise, commitment and vision, he said. While it appears that biometrics will be covering a lot of ground in getting to a new era of advancements and use, there are challenges to getting there. A variety of challenges. Privacy is a major potential inhibitor of biometrics, said Forrester’s Maxim. Forrester expects that biometric solutions will provide: 1) Server-side storage of only a partial biometric sample or only encrypted characteristics of a sample; 2) Better rotation and management of encryption keys protecting samples; and 3) Further improved replay attack mitigation capabilities. Some of the biggest hurdles in the integration of biometrics technologies in healthcare are related more to people than to technology. Getting the right people within continuously expanding health systems to recognize the problems associated with patient identification is the first hurdle, said Kelly of Imprivata. The “right” people could be clinical, financial, IT or risk management leaders who bear the burden of responsibility for population health management or value-based care; in other words, they own the management of patient identities and insist that their organizations attempt solutions, Kelly said. "By configuring a smart environment and passive awareness of patients, providers can leverage their existing infrastructure and patients can use their own devices for personalized interaction." Naturally, the second group of people that needs to be engaged is patients. While costs of biometrics technologies are coming down, they remain a challenge to a new era of biometrics. One of the challenges is indeed cost, or more accurately, perceived cost, said Clifton of Princeton Identity. Also, hospitals should evaluate the cost of investments in biometrics over time, and not just for the one-time, upfront expense. Most biometrics technologies operate flawlessly for years, once installed, and can reduce administrative, IT, insurance and other expenses, making the total cost-of-ownership much lower than one might think, Clifton said. Artime of MedicFP sees two challenges faced by biometrics within the healthcare context: the need for interoperability and the resistance of individuals to consent to biometrics data collection and storage. "Healthcare organizations will need to invest in appropriate data security mechanisms to protect biometrics data as well as user education and training materials." Today, there already is use of biometrics such as fingerprint in clinical settings for doctors to log into workstations. Such approaches provide a convenience and productivity value as doctors and nurses can usually get faster access to healthcare apps by not having to enter complex passwords. In the future, for consumers, for instance, they will be able to check-in using a biometric as well as the possibility of connected wearables being able to provide real-time data on medical conditions that provide better decision support to clinicians to take action, such as identifying irregular heartbeat, said Maxim of Forrester Research. Trader of RightPatient said he believes his company’s use of artificial intelligence is pushing forward a new way of managing biometrics for the future. Healthcare providers improve patient safety, satisfaction, data integrity and revenue cycle while receiving predictive insights and preventing readmissions, Trader added. The company is working with clients to leverage its AI-based technology across all interaction points so the AI is ubiquitous. Speaking of ubiquitous, Imprivata’s Kelly said that in a future state, biometrics identification in healthcare will be ubiquitous. Since the pressure on provider organizations to achieve compliance, cost savings and high-quality care will undoubtedly continue, biometrics technologies will help with measurable results such as fewer denied claims, duplicate records and patient safety incidents, he said. “The more biometrics are used, the more benefits accrue to organizations and to patients, leading to higher patient satisfaction and ideally better health outcomes,” he added.